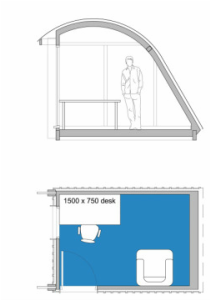 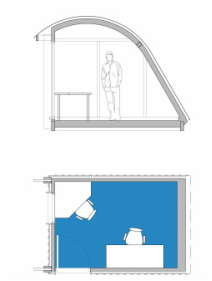 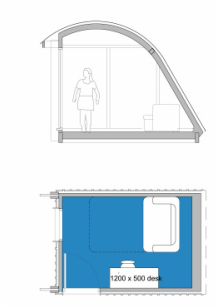 MorphPODs 2.2 and 3.4 both work well as garden rooms, for work or leisure, accommodating standard, off-the shelf furniture in various configurations. Or we can build in what you need. 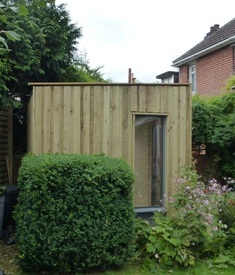 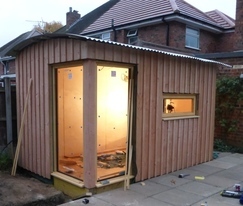 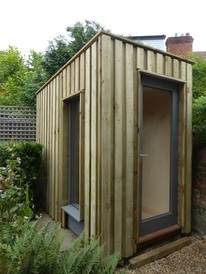 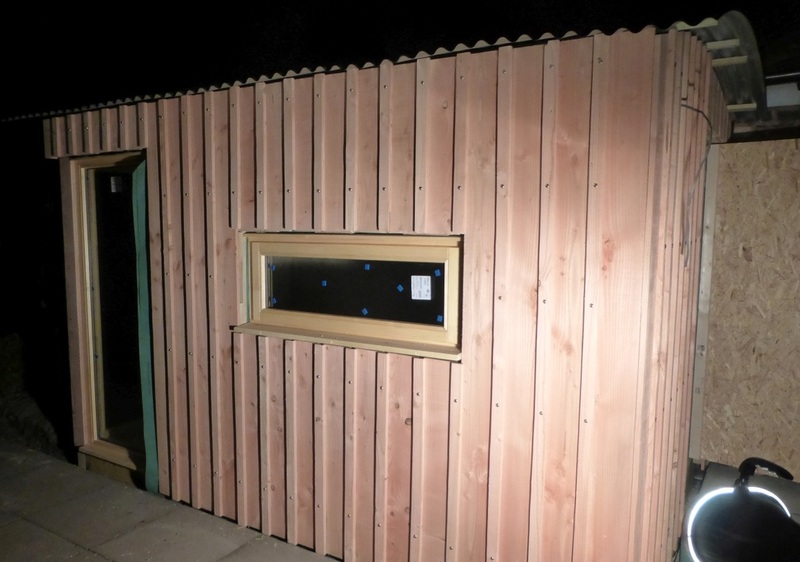 We have also made some bespoke garden rooms, examples are at the bottom of this page. 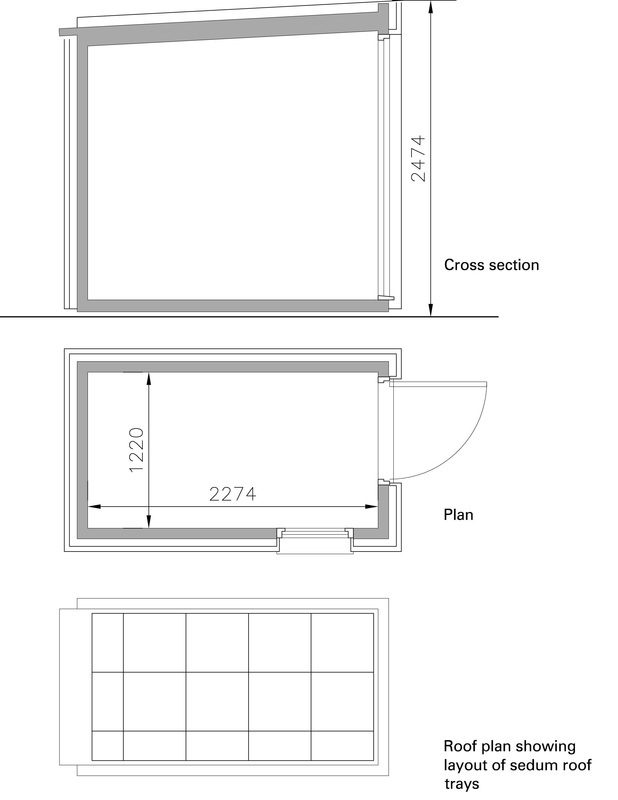 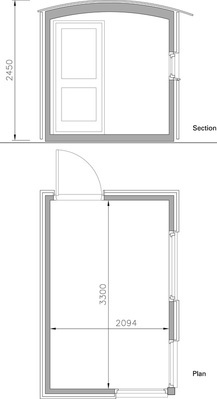 These plans show standard furniture, to give you an idea of what fits in and how. 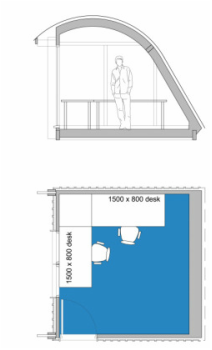 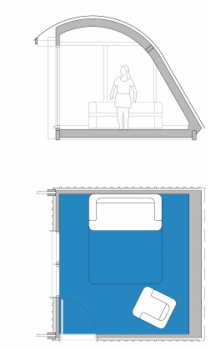 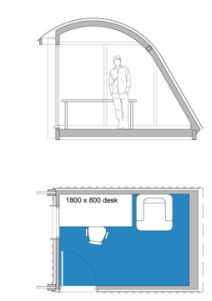 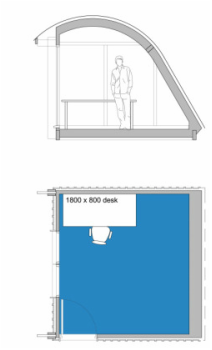 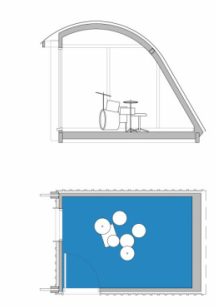 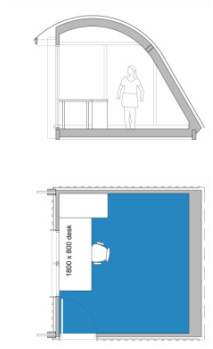 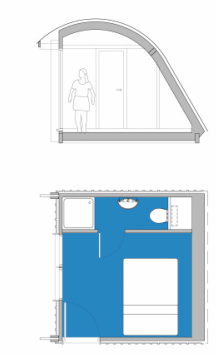 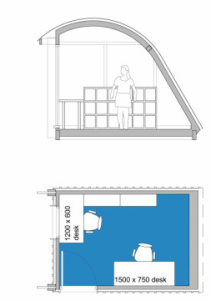 MorphPOD 3.4 as workroom 3.4 x 3.2m 11'2" x 10'6"
MorphPOD 3.4 as extra /guest room 3.4 x 3.2m 11'2" x 10'6"
MorphPOD 3.4 as leisure / spare room 3.4 x 3.2m 11'2" x 10'6"
MorphPOD 3.4 as work/leisure room 3.4 x 3.2m 11'2" x 10'6"
MorphPOD 2.2 as workroom 2.2 x 3.2m 7'3" x 10'6"
MorphPOD 2.2 as practice room 2.2 x 3.2m 7'3" x 10'6"